When you live in Northwestern Pennsylvania the winters can be pretty brutal. I am talking -25 degree wind chill brutal. Keeping your animals warm in those frigid temps can be tricky, but it doesn’t have to be. When I first starting raising animals I used to worry about them in the winter, so much so that during my first winter I made a costly mistake. You see, I thought my goats could not handle the frigid temps so what did I do? Well, I loaded my barn up with heat lamps. Six of them to be exact and I was pretty pleased with myself. I thought I was doing a great thing for my animals, the barn was warm and each stall had a nice source of heat. Well, actually I was not doing a great thing. Not at all actually. You see when the temps begin to cool down in the fall livestock will develop a thicker coat. As temperatures drop their coats thicken until they are covered with a wonderful layer of protection. When winter does finally hit their bodies are conditioned enough to handle the worst. So, that first year when I set up all those heat lamps? Well, it was a disaster. What happened was I made the barn so warm my goats began to shed. 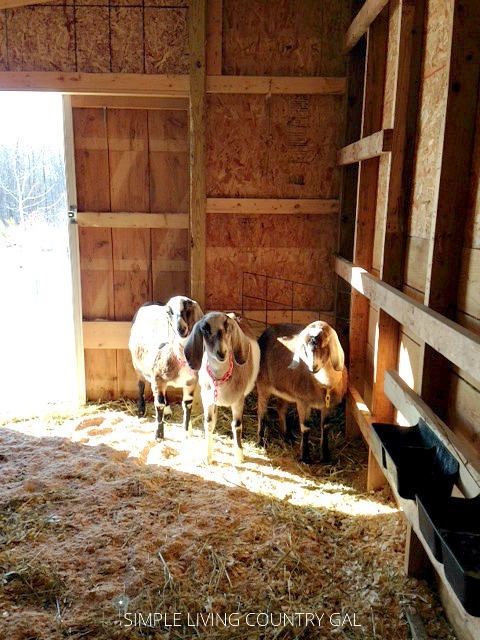 Yes, my goats were shedding…IN JANUARY! Their bodies told them they no longer needed that thick full coat. Needless to say, my goats soon found that if they did not stay close to the heat lamps they would get cold. I actually lost a goat that first winter, it was awful and it happened because I didn’t know any better. I have since learned that heat lamps are used only with newborns and only when absolutely necessary. Now, don’t worry there are still things you can do to keep your animals warm in the winter. How to keep your animals warm in frigid temperatures. Get them out of the cold. If you do not have a barn to put your goats in, please make sure you at least have some kind of shelter to get them out of the cold. Goats are not like horses or cows, they need protection from rain and snow. Before the cold weather hits make sure you are ready with a shelter that is enclosed on at least 3 sides with a way to close off the 4th. 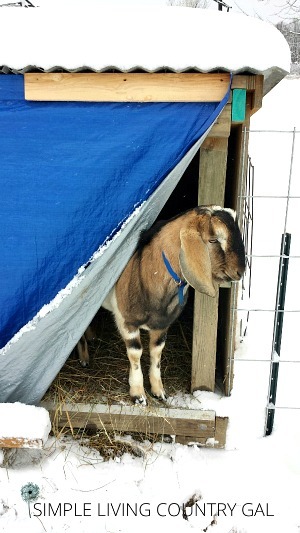 You can use a tarp or some scrap wood for protection from heavy winds to help keep your goats warm. It is important to make sure you do not seal the shelter up tight, you need good airflow to prevent pneumonia. Use the deep litter method. Nothing chills an animal faster than cold frigid ground. The best way I have found to combat this is to use the deep litter method. Simply put, deep litter means you do not clean out your stalls all winter long. This lets the hay and bedding build up to a nice thick layer adding a barrier between the cold ground and your livestock. This will really help to keep your goats warm. If you find your goats standing to sleep, then you know your ground is cold. Every year I build raised goat beds to make things a bit more comfortable. 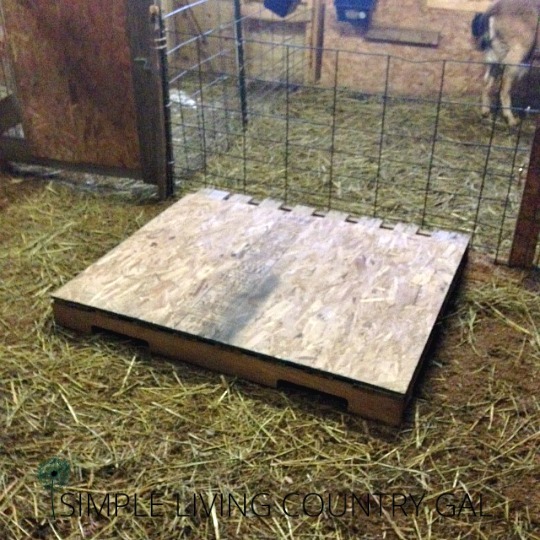 You can see my step by step tutorial here, How to Build a Raised Goat Bed. The goal is simple, find a way to get your goats off of the ground. Give plenty of fresh warm water. When temps are really cold my animal’s water can freeze pretty quickly. I usually give my goats fresh warm to hot water 3-4 times a day in the winter. Doing this first thing in the morning really keep your goats warm and they love it. My buck loves it so much he drinks it as I am pouring it! You can also put a splash of organic apple cider vinegar for an added boost. Most animals love the taste and the ACV will get them to drink more water. Do you find your animals aren’t drinking? Dump that water and make sure it is fresh. That usually does the trick. One thing nice about goats is they have a way to warm up from the inside out. Hay. When they eat hay they get their rumens working and that acts as a furnace warming them up pretty quickly. Rather than give them a huge helping once a day I will give them 2-3 smaller helpings to keep them eating when it’s really cold out. There is something to be said of warm sun on a 20-degree day. When the sun is hot and strong I will open up the barn and let the goats do a little sunbathing. They just love it! (Please be aware that only your healthy older goats should do this, younger weak goats should be kept out of the cold at all costs.) I only do this when the sun is really warm and there is no wind. Goats love to play and luckily I love to play with my goats. Tag is their favorite…especially when I am the target. 🙂 I will run around with my goats to get the blood moving and before you know it they are all playing and running and warming up. If you have no time to play at the very least set up your pens in a triangle to force everyone to move and to help keep animals warm. What I mean by that is have the water at one point, feed at another point, and hay at the third point. This will keep your animals moving without them even realizing it. 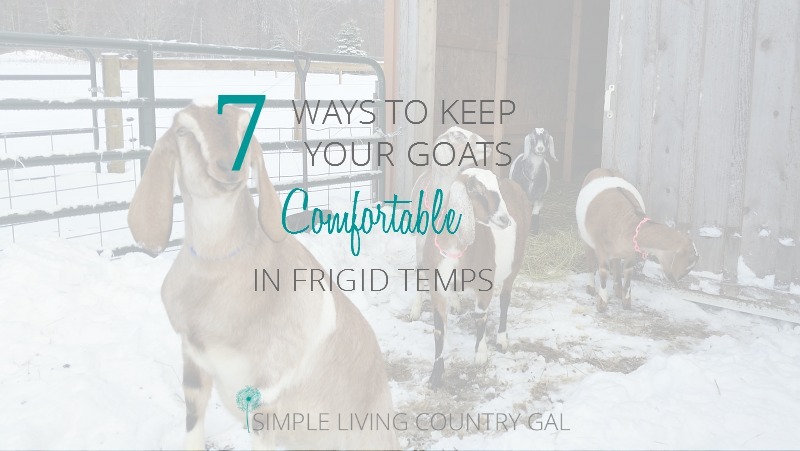 Goats can absolutely thrive in frigid temperatures without artificial heat and be the better for it. I found out that first year by warming my goats up that I was doing more harm than good. 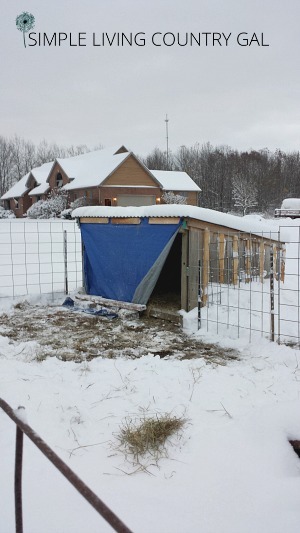 Now my goats are hardier, stronger and healthier because I allow their bodies to acclimate to the cold temps. 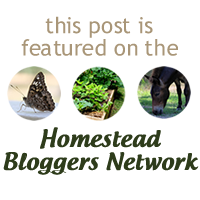 By giving support in natural ways your herd will grow and flourish even when the snow is falling! I loved reading about your goats. I believe all goats must be spoiled rotten and you are doing a great job! 🙂 They sound like they are nice and toasty warm. You say not to completely “seal” up the barn for air flow. Do you close your barn doors at night? Next week we (in Iowa) are expecting negative 20-30 below temps with windchill. Negative 10 for a high!! Should I close the barn doors for those kinds of temps? Yes if it’s going to cold, wet and/or windy out I absolutely close up the barn. Today, it is 14 degrees yet sunny, so the barn is wide open and the goats are out getting a little sun in the snow. It really is quite amazing at the cold they can and will tolerate!